When you are new to sewing, shopping for sewing supplies can be overwhelming if only because of the sheer variety available. 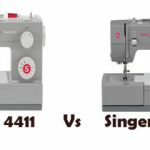 Irrespective of what sewing accessory you want to buy, whether it is needles, pins or a pair of scissors, there are so many types available that just deciding which one you should buy can be mind boggling. With that in mind, I’ve put together few guidelines that will help make it easier for you to make the right choices. 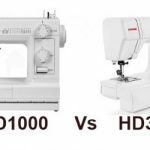 If you do not own already a sewing machine, read our guide on how to choose a sewing machine for tips and suggestions on choosing the right machine for you. 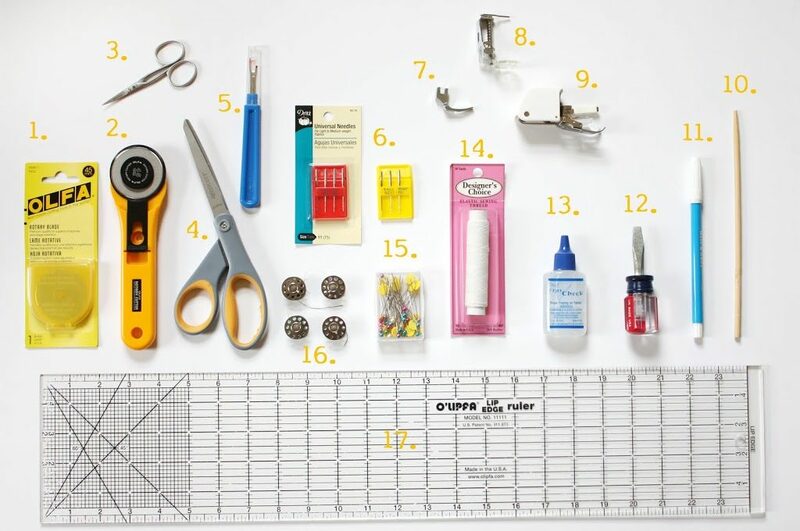 You will need at least 3 different types of scissors even for the most basic sewing. A good pair of fabric shears, 8”-10” long is a must. Look for those labeled “Dressmaker’s Shears”. Don’t settle for the cheapest. 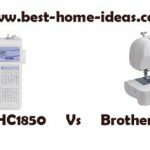 Buy the best that you can afford and do not use it for anything other than fabric. This is important. Using your fabric scissors for other cutting jobs can cause it to lose its sharpness. A smaller size pair of scissors is handy to use when you want to snip or notch tight corners such as collar points. 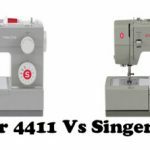 In addition, it is also useful to have a pair of pinking sheers, which allows you to finish off edges and prevent them from fraying if you do not have a serger machine. Believe me, you will use a lot of pins while sewing and buying small, cheap pins will test your patience! Don’t do that. I’ve found that 1 ½” – 2” long, extra fine pins with large, colorful plastic heads are the best for sewing. They are easier to work with, less likely to leave holes in the fabric and are easier to find if they fall on the carpet. You will need different size needles for different types of fabric. Size 11needles are ideal for lightweight fabrics, whereas size 14 is more appropriate for medium weight fabrics and size 16 for heavier fabrics. If you are likely to be sewing a lot of denim, you can even get needles especially for denim. Keep a packet of each size if you are likely to be sewing with different types of fabric. For hand sewing needles, an assortment of sizes can come in real handy for small jobs such as sewing buttons, hooks and other little finishing touches. 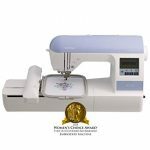 Your sewing machine will come with a few bobbins but when you are working simultaneously on different projects that require different colored threads, it can be inconvenient to make do with just a couple of bobbins. Buy plenty of extra bobbins – they are quite cheap- and fill them with threads of different colors so you can switch easily from one project to another. As a general rule, bobbins come in a standard size that fit most sewing machines. However, some machines require special bobbins so check your machine manual before buying. Don’t get tempted to buy cheap sewing thread. Cheap thread tends to bunch up and break when machining, which can make for lot of frustrating moments. Even worse, because these threads are inherently more brittle, it will break more easily after you’ve finished the project. Seeing all your hard work go down the drain can be immensely disappointing. When shopping for your sewing supplies, add a bottle of sewing machine oil to your list. You will need to oil the moving parts to keep the machine running smoothly and to prevent rust formation. Check your manual for detailed instructions for your specific model.